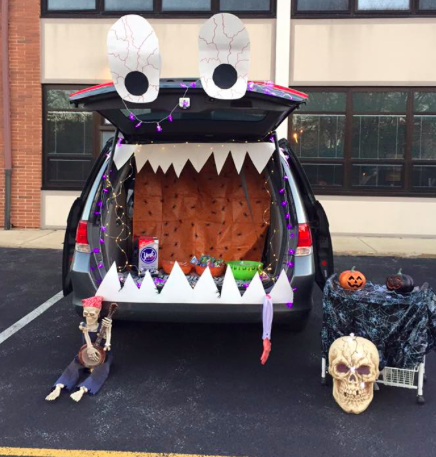 Every year, our parish school does Trunk or Treat. 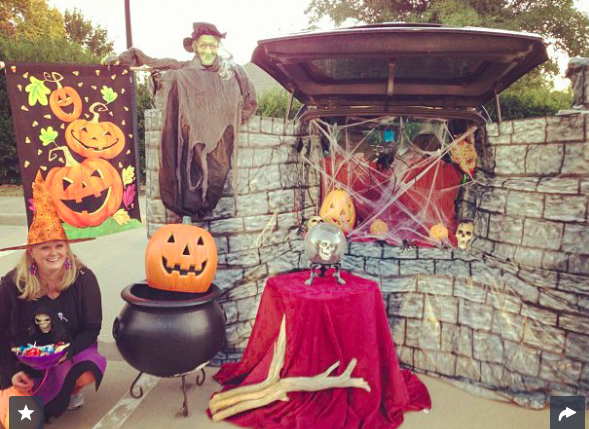 If you aren’t familiar, it’s an event where you park your car in a parking lot and decorate it for Halloween. The kiddos walk around and Trick or Treat out of the various cars. 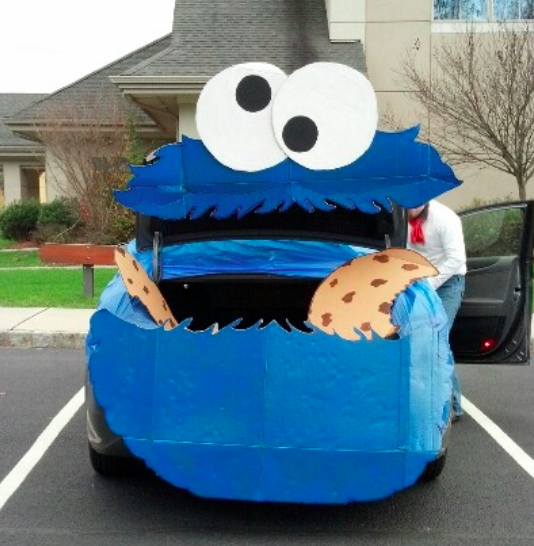 It’s a load of fun and people get really into trying to find cool and fun themes for their cars! Last year, we did this mouth above. It was a fun little family project to make the mouth and really easy! It’s pretty self-explanatory but you can see what I used here. 1.) So number #1 is any sort of mouth like the one I did above. Lots of variations possible! 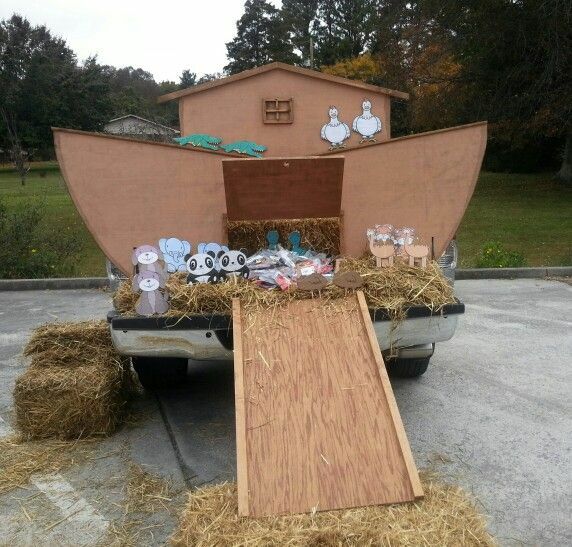 I saw one that added whiskers black triangles made out of posterboard on the top of the car to be a cat! 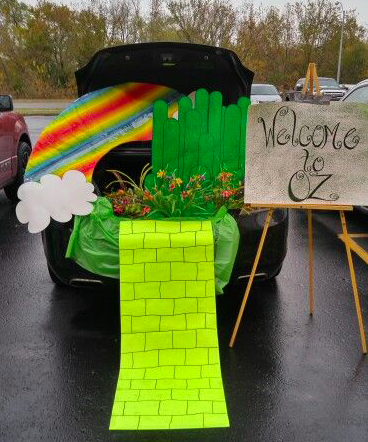 I saw a lot of Wizard of Oz themed cars online. 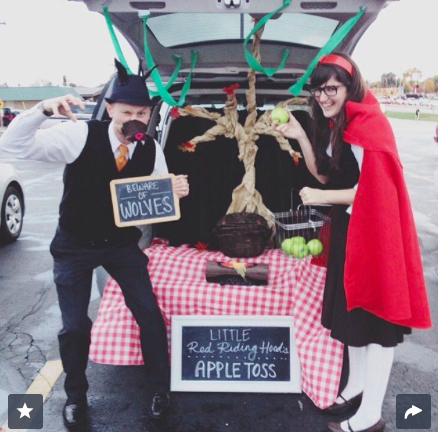 I found this one on Pinterest that I thought was super-cute and I don’t think it would be too tough to recreate. 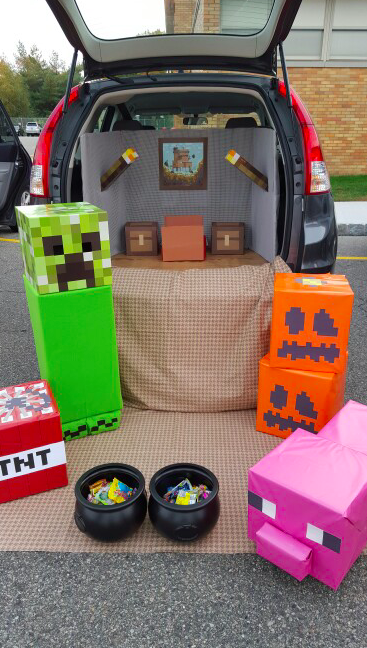 Moms & girls could dress up as Dorothy or the Wicked Witch, Dads or boys could be the Tin Man or Scarecrow! 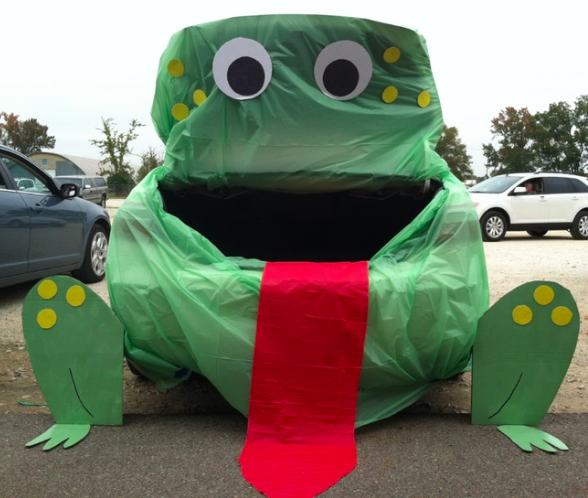 This Frog from Pinterest is all kinds of awesome. 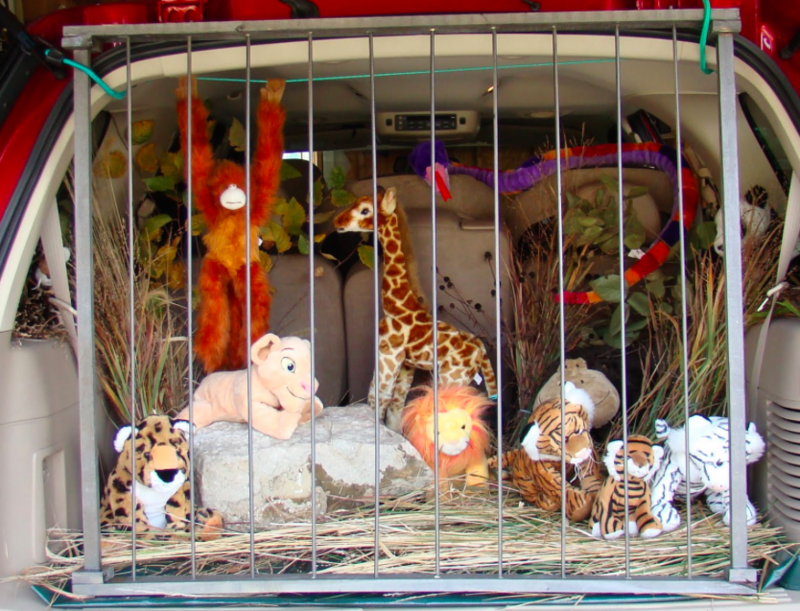 A zoo theme from Project Little Mo seems simple and a nice use of the bazillion stuffed animals you already have in your house! 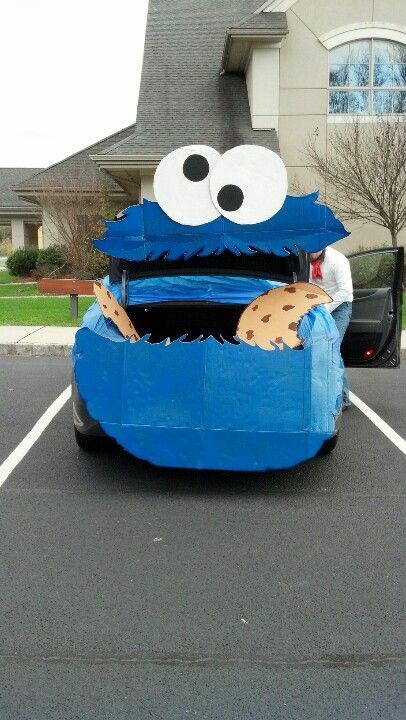 Cookie Monster‘s an all-play for all ages and nice if you’ll be having a lot of really little kids coming by your trunk. 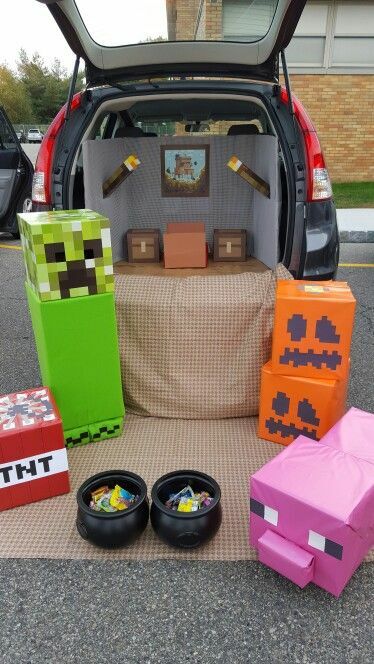 As long say you find a couple of box boxes and get some paint, this one doesn’t look too hard! 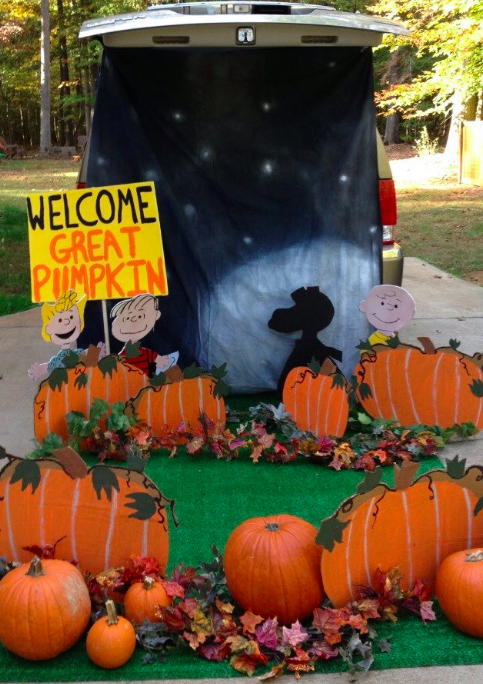 Using real pumpkins or ones you’ve painted with your kids on cardboard, I also feel like this one isn’t too complicated! There’s certainly plenty of leaves to be found this time of year and with a little fake turf like they have in the photo this could work. The hardest part would be making Charlie Brown & friends but it’s definitely good for an afternoon art craft with the kiddos! Love this one shown again on PopSugar – it’s impressive looking with a lot of goodies you can just buy online!